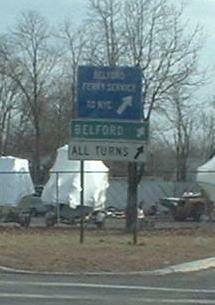 NJ 36 runs in a backward C between NJ 444R and NJ 444S. 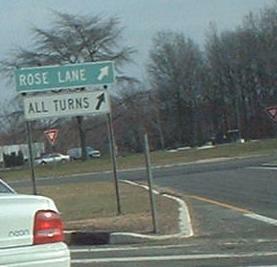 Since that doesn't help you much, NJ 444R is the former designation of a connector between NJ 35 (at NJ 36's western end) and the Garden State Parkway at Exit 117, and NJ 444S is an even shorter connector at GSP Exit 105 (but still designated as a route). 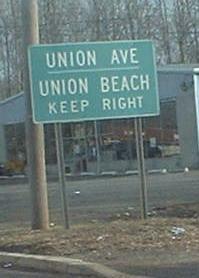 Along the ocean, NJ 36 is N-S, and the southern leg after it turns off of Ocean Ave. is E-W. 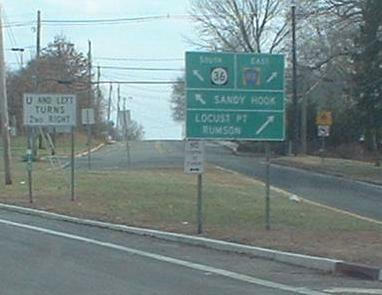 The northern leg, running west from Sandy Hook, definitely was W-E once upon a time, and even though most signage calls it N-S (to avoid the confusion of two E-W stretches of 36), there are a couple of W-E remnants along the route. 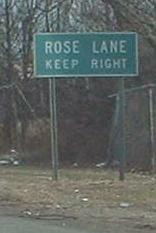 WB, all west of NJ 35, up to the end of NJ 36. 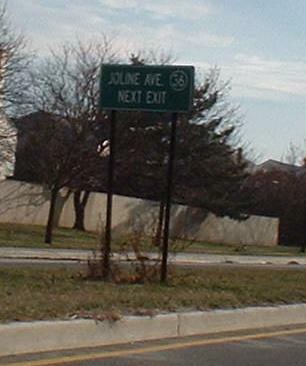 The last two photos are of and on, respectively, NJ 444S, which means that NJ 36 does not at all end at the NJ 18 offramp (not that you can follow "END 36" anywhere, it being a point and not a road). 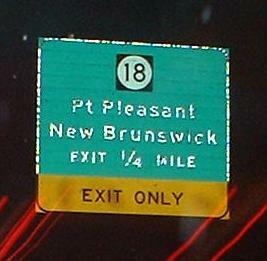 Exit 105 is just north of the Express-Local divide on the Garden State Parkway, and thus just north of the Asbury Park toll plaza. 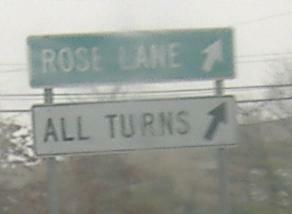 Since Asbury Park just went unidirectional, charging a 70 cent toll northbound and nothing southbound, Exit 105 did the same. 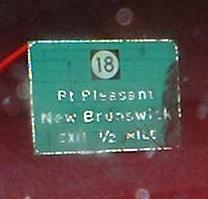 These are on the WB-only offramp to NJ 18 (seen in the photo mix above). 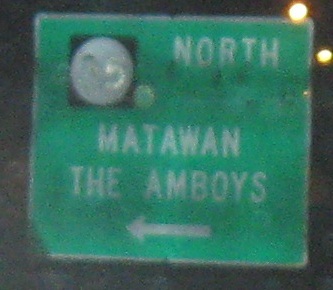 EB at Wyckoff Rd., CR 547, which cuts the corner northward. 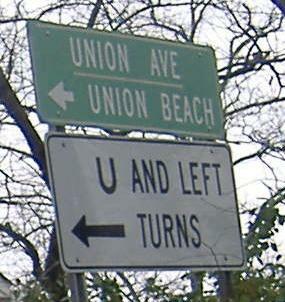 Very Californian, this outline sign is on Ocean Ave. in Long Branch where NJ 36 turns right from being SB to being WB. 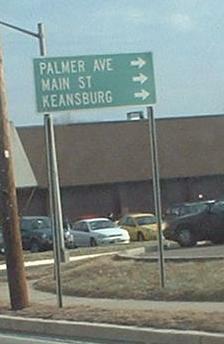 There is no "exit," but a traffic signal, and if you don't see this sign you can get very lost. 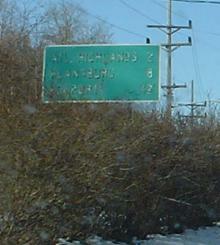 Ocean Ave. NB, with no route number at all but the same text. 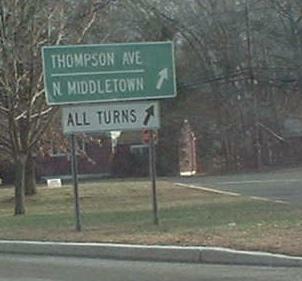 It's even worse from this side because left may be NJ 36, but straight also is. Industrial Way EB at Wall St., which leads to Highway #36 (never seen the pound sign before), and Wall St. WB at Industrial Way. The beginning of CR 520 with an undersized shield, this facing NB. 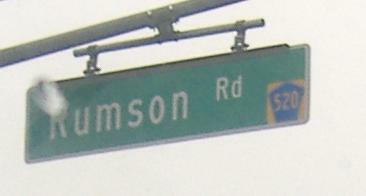 What I hope is a construction-related sign, SB at Hartshorne Dr. I fear that it may be permanent (and others like it), which will cause mass blindness as drivers gouge their eyes out upon seeing it. Hopefully one of them crashes into and destroys it. There is one acceptable font for signs, and it's been that way for decades. Catch up, contractors. The related construction is nothing less than the destruction of the old Highlands Bridge and installation of a much higher fixed span (instead of a drawbridge). The demolition apparently takes six cranes simultaneously (that's three projects' worth) and something I've never before witnessed, a bargeload of bulldozers floated in to chew away at the old bridge piers. 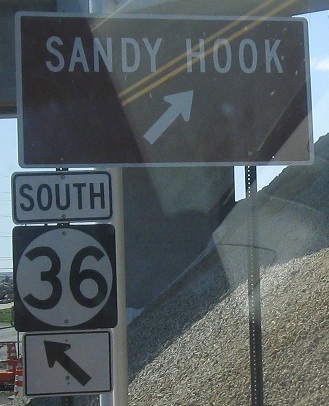 Northbound distance sign northwest of Sandy Hook, courtesy Lou Corsaro. Get your Quicky in just 10 minutes! Any day of the week! 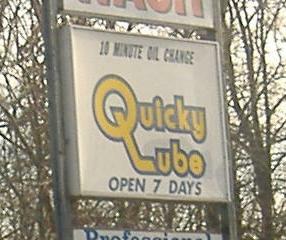 With a name like Quicky Lube, it must be good! 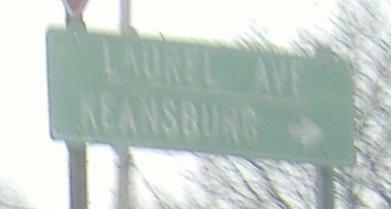 Avenue D and Main St. SB, in Leonardo and Belford, respectively. 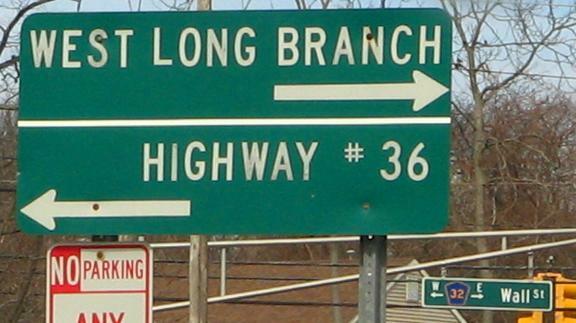 Avenue D is just west of Atlantic Highlands, so I question why that should be the destination along NJ 36 SB (since people can use local streets to connect instead) instead of Sea Bright. 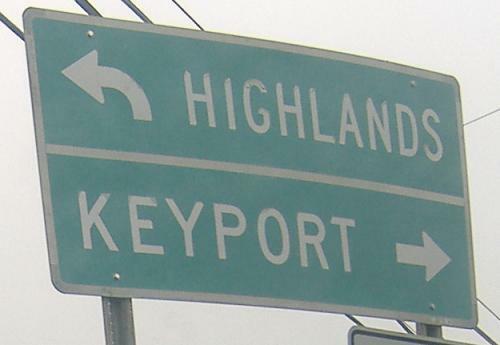 Two NB end-of-jughandle signs, first at the same Main St. as above and then an unusually thin one just south of Keansburg. 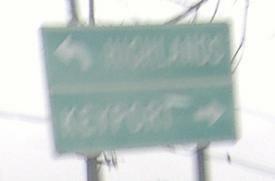 Three more NB signs; the second one is another jughandle sign similar to the Laurel Ave. one above, in Hazlet. 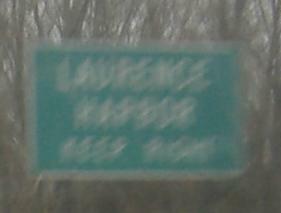 I believe the Laurence Harbor sign is for Stone Rd., one of the four pieces of Monmouth CR 6 (it intersects another one in Laurence Harbor).